You shouldn’t have to be a movie star to wake up with a view of the ocean, and now you don’t have to be one. With this affordable, two-story beach house, now you too can claim your own piece of coast. This house offers a master bedroom on the second level for adults and parents while three additional bedrooms provide plenty of space for tired little surfers and beachgoers alike. The joint dining and living area supply ample room to bring the family all together for meals and entertainment. While large windows surrounding the house on the main level allow the ambiance of the surrounding environment to waft through the home, creating the perfect soundtrack to your day, whether you’re just arising from bed or drifting off to sleep. Please visit our website to view floor plans and find more details about this beach house plan, 017H-0032. 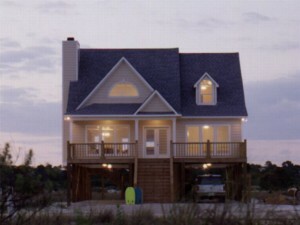 For more plans similar to this one, please check out our Beach/Coastal House Plans collection. Nothing says seaside living like a thoughtfully planned coastal design. 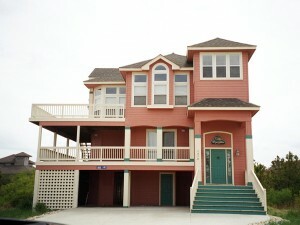 This featured coastal home offers a floor plan that makes the most of oceanfront or shoreline property. Expansive decks and screened porches promote outdoor living and relaxation while delivering the perfect places to listen to the sounds waves crashing on the nearby shore and seagulls calling out above. Furthermore and array of windows enhance the living spaces and cozy loft revels the best ocean views from the interior. Additionally, the common gathering areas are situated on the highest level where you are sure to enjoy the panoramic seascape. Starting on the top level, you’ll find the open living areas arranged for gathering, relaxing and entertaining. Special features include easy access to the deck and screened porch, as well as, a kitchen island, window seat, great room fireplace and stairs to the loft. Your master suite completes the upper level boasting a private bath and decorative ceiling. Three bedrooms occupy the middle level including Master Suite 2 with its own private bath and a compartmented bath that accommodates Bedrooms 3 and 4. A covered porch and entry complete this level. Finally, the ground level offers a rec room the whole family can enjoy as well as an extra bedroom and bath and the laundry facilities. Don’t miss the carport. 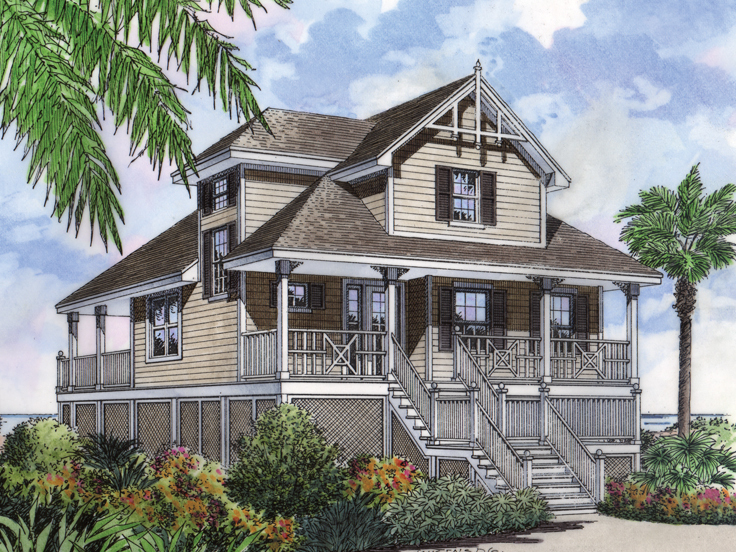 Fashioned with distinct seaside styling, this coastal house plan allows you to ease into everyday as if it were the middle of vacation. Please browse our Coastal house plan collection to view more designs like this one. If oceanfront living is for you, check out this featured beach house plan! This thoughtfully designed coastal home boasts spacious covered porches designed to take in the surrounding views while relaxing and listening to the waves crash upon the shore. The living areas of this home are raised one level protecting them from the rising tides. Take a look at the main level where you’ll quickly notice the family room enjoys access to the front and rear porches as it takes full advantage of the seascape. The combined kitchen and nook are situated nearby and provide a casual dining space unless you prefer dining alfresco. You’ll appreciate convenient access to the laundry room making it easy to throw in a load of clothes while dinner is prepared. A Jack and Jill bath is neatly tucked between Bedroom 2 and your master bedroom (complete with walk-in closet.) Two more bedrooms are positioned on the second floor and share a full bath. If you’re looking for a family-friendly beach home, or a design well suited for rental property to be used by families and groups, this two-story beach house plan fits the bill! You can learn more about this beach house plan by visiting our website. If you’d like to like to view more beach homes like this one, please browse our entire collection of beach houses and coastal home plans. Designed for shoreline living with the main living areas typically raised one level above the ground to accommodate rising tides and prevent flooding. This is achieved by building on a pier foundation (or pilings). Usually, the parking area is located beneath the home and made possible by the pier foundation. Floor plans feature large, strategically placed windows to maximize the coastal or shoreline view. Floor plans incorporate large decks and porches for outdoor living space and provide an opportunity to soak up the sights and sounds of coastal living. Often feature an open floor plan to allow gentle sea breezes to flow throughout the home. Often incorporate specialized design elements, materials and construction methods to meet building requirements and specifications related to marine/coastal environments, geographic factors and regional climates. Floor plans range in size and style offering everything from a simple beach vacation bungalow to a luxurious oceanfront home. 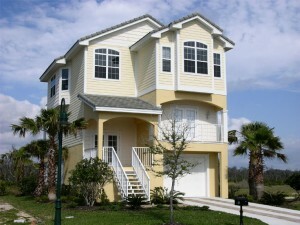 Browse or beach house plan collection to find the design that will satisfy your needs and lifestyle. Suitable for any narrow piece of property, this narrow lot house plan has much to offer. It is especially well suited for long and lean beach lots found along US coastal areas. The home is built on piers (or stilts) raising the living areas one level to protect against rising tides and flooding associated with tropical storms and hurricanes. There is room for parking underneath the home. Now take a look at the floor plan. It was truly designed to make the most of oceanfront property with plenty of porches and decks to enjoy the view, beautiful sunsets and the gentle ocean breezes. And for those who like to spend time at the beach or catching waves, there is an outdoor shower to rinse away sand and salt before entering the house. On the ground level, you’ll find a carport and finished space with laundry area and access to the main levels of the home. One level off the ground, you’ll find two comfortable family bedrooms that share a full bath, and Master Suite 2, just right for a guest suite or conversion to a den or office. A private bath outfits this space. The upper level of the home holds the main living areas. Windows wrap the back of the home delivering stunning views. The gathering areas are open to one another offering a spacious and airy feel. An angled counter overlooks the great room and dining area. Master Suite 1 enjoys a private bath and two closets. Ideal for a waterfront vacation home, this narrow lot beach house plan is sure satisfy your needs for warm weather getaways! To view more narrow lot designs, check out our narrow lot home plan collection.